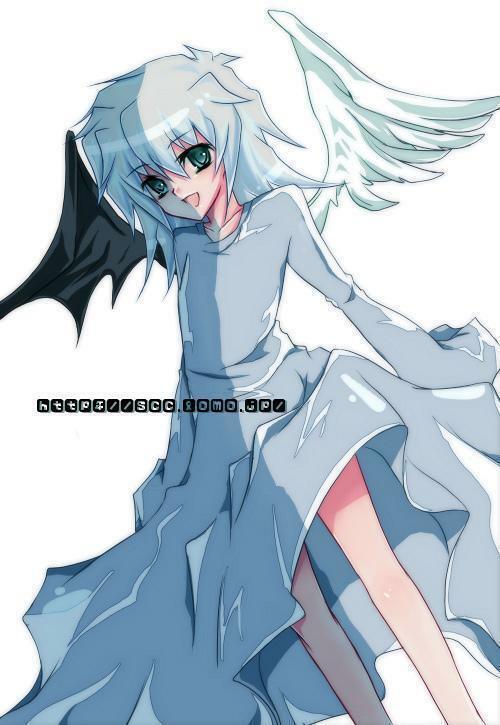 Angel/Devil Ryou. . HD Wallpaper and background images in the Ryou Bakura! club. This Ryou Bakura! fan art might contain anime, comic kitabu, manga, cartoon, and mkono. SO CUTE, i love Ryou Bakura. Why does is feel lesbiany to think this is cute?